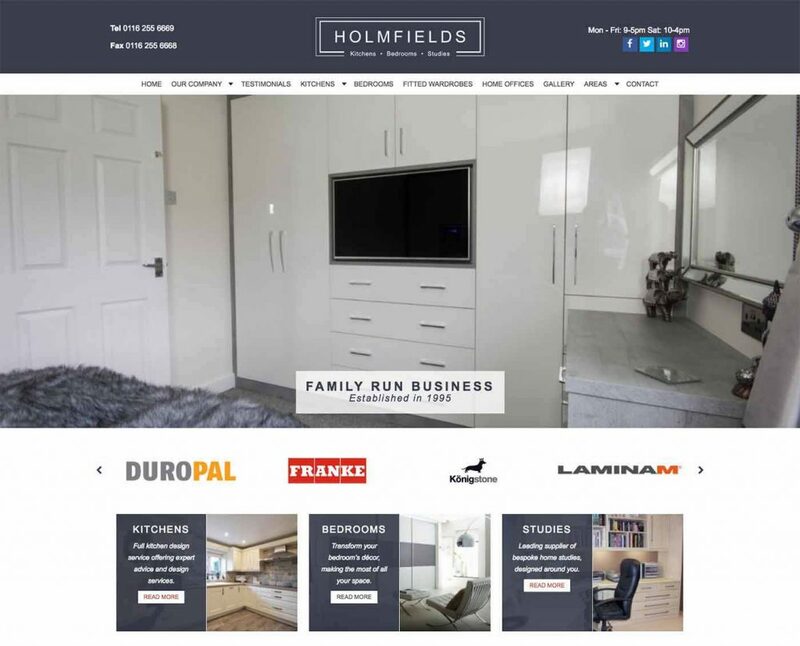 Holmfields old website had become out of date in both appearance and content, so our aim was to modernise their brands appearance to help improve their rankings and conversion rates. We spent some time working directly with the client to revise the content and prioritise the services they wanted to push. Brand consistency was one of the biggest improvements, with their new logo and new brand colours forming the pallet of the site. Content was optimised to current SEO standards, with an aim to be more relevant to their customers expectations and what they are looking for – in turn seeing an increase in conversions. 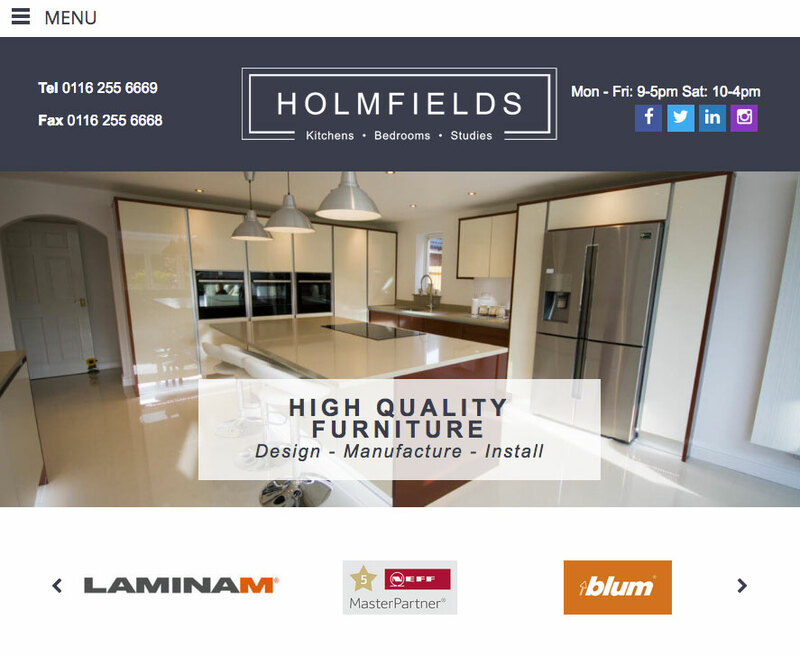 We have had our website designed and published by Success Local and it looks stunning, they listened to everything that we wanted to display on our website and the sort of style we were looking for, also giving loads of ideas and advice of how the website should look. We had numerous visits from Success Local to show us how the website build is progressing and to check we were completely happy before it finally went live. They also offer great SEO, updating our website so we appear on the search with different keywords. We would certainly recommend Success Local to any business looking to build a website, we could not fault the service and professionalism. 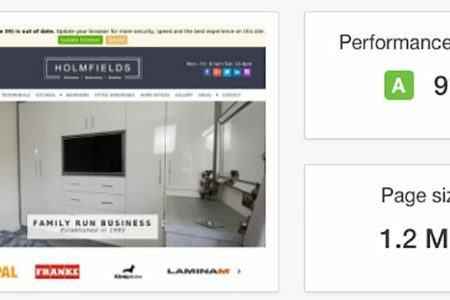 Getting people into their showroom was a big aim from the new website, so user experience and call to actions played an important role in the design. Complementary colours and concise iconography highlight trust signs and high quality photos provided by the client visually demonstrate the quality of their products and services. The website is now mobile friendly and secured with an SSL certificate following the latest advances in web. Load time and page size has decreased, improving the user experience especially on mobile. 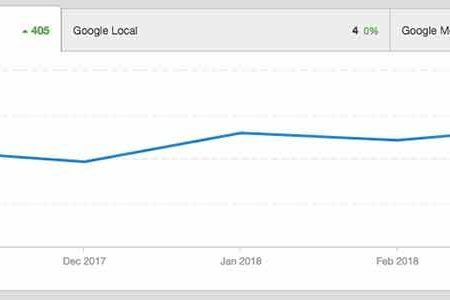 Holmfields SEO has also seen vast improvements with the positions of their keywords increasing by a total of 405 positions in months from August 2017 (when the campaign began) to June 2018. They began with 27 out of their 36 keywords appearing on the first page of Google search results and they now have all 36 keywords showing on page one. 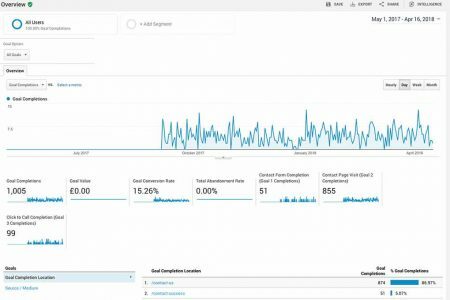 Since launching the new website and beginning the SEO campaign, organic search sessions have increased with overall traffic rising as a result. Bounce rate has lowered to 38.16% and the average duration on the website has increased to 2 minutes and 07 seconds. The result of all of this is a goal conversion rate of 17.85%, resulting in a return on the customers investment soon after. 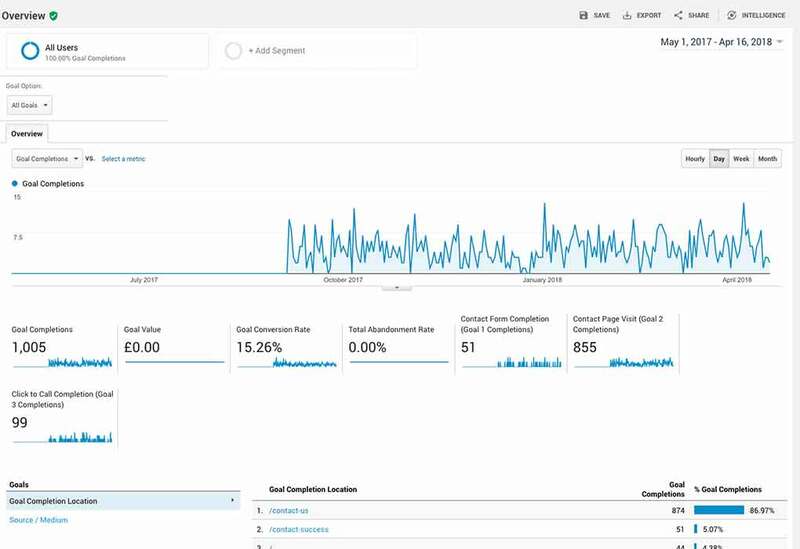 The performance grade has increased across the board on Google Page Speed Insights and Pingdom and we continue to work with the client on a monthly basis to maintain and succeed the success we’ve seen with the campaign so far.